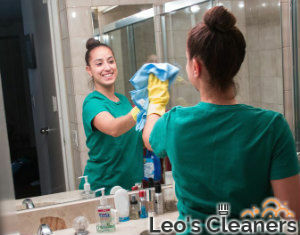 It is greatly important for our company to provide the best bathroom cleaning services in Chiswick, W4 because we really care about our customers’ health and well-being. So, in order to keep these premises in perfectly hygienic condition, we have designed a special bathroom cleaning service that will make sure you will get the bet quality in return to your money. All surfaces in our customers’ bathrooms are cleaned with high-quality detergents and the procedures are carried out by vetted and certified specialists who are also qualified enough to deal with all kinds of difficulties quickly and efficiently. Tiles washing and wiping, as well as thoroughly cleaning any mirrors, internal windows, sinks, etc. Our company works not only in Chiswick, but also in the rest of the London areas. Our cleaners are all background-checked, fully-trained and hard-working individuals who put the needs of our customers first. So, offering you the best quality at the lowest prices is always guaranteed. Our bathroom cleaning technicians will get you rid of the dirt and grime and will also take care of any mould and bacteria that can be found in your bathroom. As already mentioned above, we offer both residential and business bathroom cleaning packages, so you can book us either for your home or business property. The extensive experience of our company has helped us become one of the most reliable and preferred bathroom cleaning providers in the area of W4. We can not only be trusted for offering the highest quality in the business, but you can rely on us for meeting your personal requirements, if any. Make a difference by booking us today!